Promote the development of co-ordination and fine motor skills in young children. 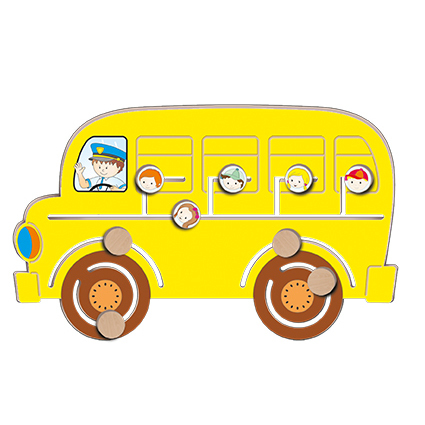 Children will enjoy moving the passengers round the bus, train or plane. Manufactured from 12mm MDF. Wall fixings supplied.